While many cities in Florida have done away with red light cameras, there are still plenty that continues to use the cameras. What makes things confusing is adhering to the rules of each city. Aventura, for example, will issue you a ticket if its traffic camera catches you making a turn on red while going at least fifteen miles per hour. Key Biscayne ups the threshold to 25 miles per hour while West Miami will send a ticket your way if you make a turn on red at just ten miles per hour. Late last year, a Miami judge ruled that this discrepancy among cities is a violation of state law. 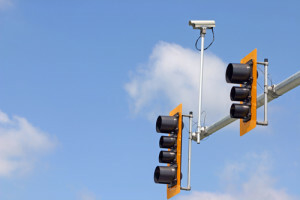 The ruling could potentially disrupt the validity of thousands of red light camera citations and cause shockwaves in the red light camera program, which remains controversial. If you’re among the drivers that have been issued a citation, don’t celebrate just yet, however. An appeals court still has to review the issue and it may be years before a major overhaul or end to the red light camera program happen. Did you receive a citation? You may still be able to challenge the citation by making a note of the Miami judge’s order. However, it’s also advised to pay the fine so that the citation doesn’t potentially turn into a state traffic ticket, which has heavier ramifications and could result in points on your license or paying more for insurance. To read more, visit https://www.miamiherald.com/news/local/community/miami-dade/article222298820.html. This update is brought to you by the Miami traffic ticket attorney team of Hochman & Goldin, P.A. We can assist you with criminal traffic violations and we are ready to answer your questions. Please call 305-665-1000 to speak with one of the Miami criminal traffic lawyers today.